that can improve getting some quality shut eye! We are all unique so the 3 mattresses we have perfected provide comfort and support, all with a slightly different feel. Order online or visit a store and give them a try! Providing luxurious comfort and featuring the exclusive Breathe Material. No bounce, just a moulding material to cradle your body and provide optimum support. The breathable surface will keep you cool and comfortable. The best of both worlds, the luxurious comfort of the Breathe Material together with 1500 pocket springs. This mattress moulds to the contours of your body and also provides a little bounce with the pocket springs. If you are looking for the very best, this is our 2000 pocket spring top of the range option. 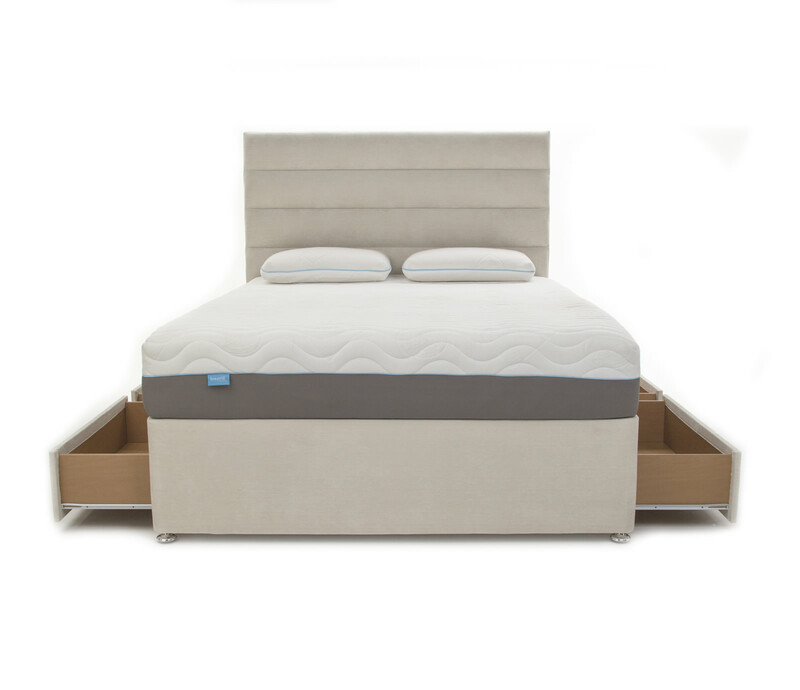 The ultimate luxury feel with amazing support and the springs give added bounce and movement. You still get the benefits of the Breathe material, keeping you cool and comfortable with the breathable surface. Plus, we have also added an extra layer of Visco Elastic between the pocket springs and Breathe layer to increase comfort levels. Breathe is proven to be 47% cooler than standard memory foam. Yes its possible to have comfort, support and to stay cool! The quilted cover on all our mattresses feature NASA technology and provide the ultimate luxurious finish. We don't vacuum pack our mattresses as you couldn't squash all this quality into a small box! Your new mattress will be unpacked by us and placed onto your bed. It will be ready to snooze on immediately. For convenience, you can order online from the comfort of your home. We are so confident that you will love your new mattress we provide you with 100 night trial. Sleep your way slim! Studies have shown that less than 5.5 hours a night makes it 55% harder to lose fat as poor sleep causes a lower metabolic rate. Not getting enough quality sleep decreases testosterone levels by 10-15% - equivalent to aging men by 10-15 years. A study of male athletes after 30 hours of sleep deprivation showed lower sprint times and reduced distance covered due to a lower muscle glycogen (a direct result of sleep loss). Have an important presentation to memorise or an exam to revise for? Study in the afternoon and get an early night to improve your recall powers by 33.5%. Guinness World Records no longer track longest periods without sleep as it's considered too dangerous! (But sword swallowing and glass eating are ok).